Despite Bristol City Council’s recent Cabinet decision to press ahead with compulsory purchase proceedings, London developer Fifth Capital claim to have struck a deal with owners Comer Homes to buy and develop the site. They say the decision does not derail its plans and that they would be submitting a planning application for the site, which has lain derelict for 25 years. 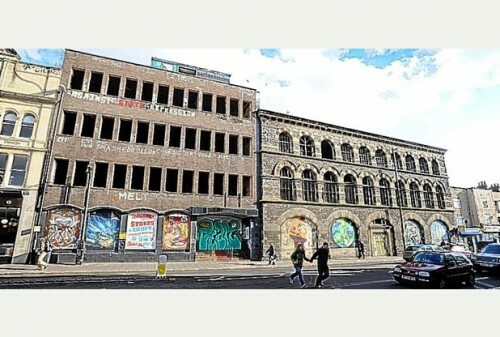 Photo by Bristol Post of the Carriageworks, with Westmoreland House to the left. Campaigners fear that this may delay the process of not-for-profit social housing company Knightstone acquiring the site, or push up the price. The Carriageworks Action Group say they are happy with moves involving the Council and Knightstone and believe it unlikely that Fifth Capital’s plans would be better for the local community. Comer Homes have declined to comment.